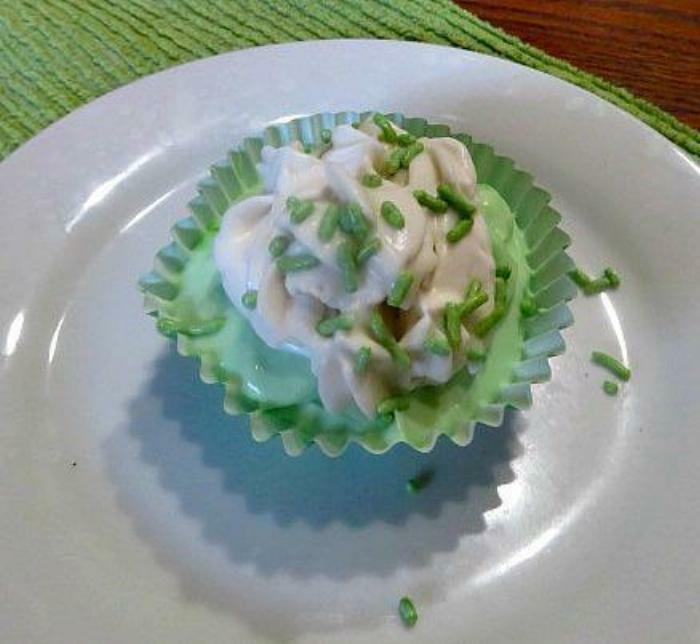 A creamy and delicious way to celebrate St. Patrick's Day! 1Prepare 6 cupcake cups on a plate by putting 1 Oreo in the bottom of each of them. 3Add the peppermint extract and beat until blended. 4Blend in food coloring to the desired color. 5Quickly mix in the Reddi Whip without over beating. 6Evenly spoon the creamy mixture over the Oreos until it is evenly dispersed. 7Allow to set in the refrigerator for a few hours. 8When ready to serve, top with more of the vegan whipped cream and some green sprinkles! Enjoy! You could also garnish with crushed mint Oreo or add mini chocolate chips to the cream cheese mixture.